Slot.it P6 Compound Slick Tyres 18x10mm DWG 1207 x4 (SIPT1207P6) Slot.it provides a comprehensive range of tires for the racer and the scale modeler alike. N22 compound are recomended by Slot.it for most track surfaces. Mould Number Dwg 1207 suitable for use with most Slot.it wheels. 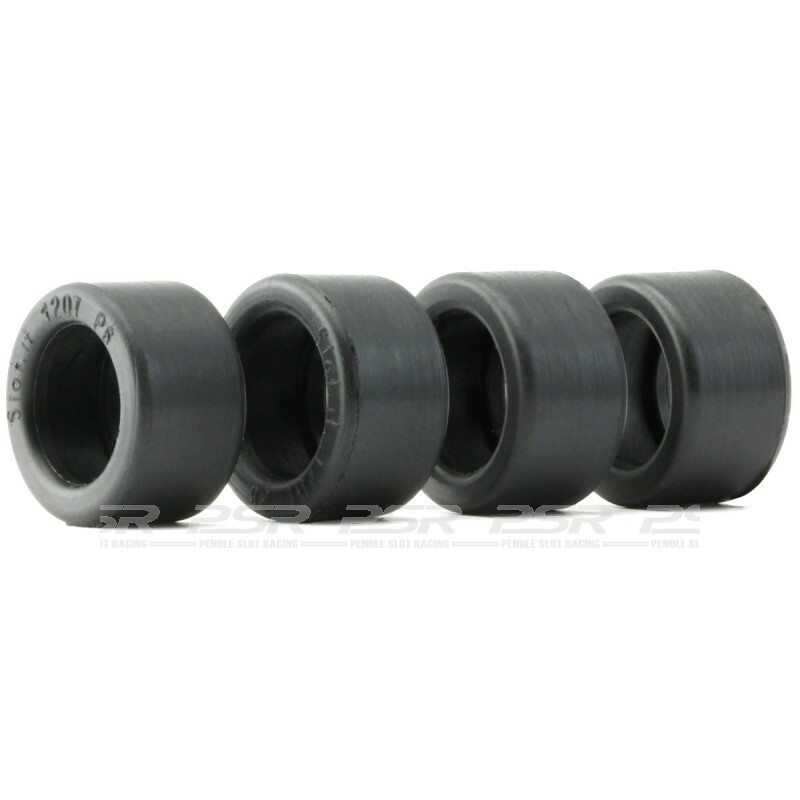 Tight inner diameter, it may be used on most rims. 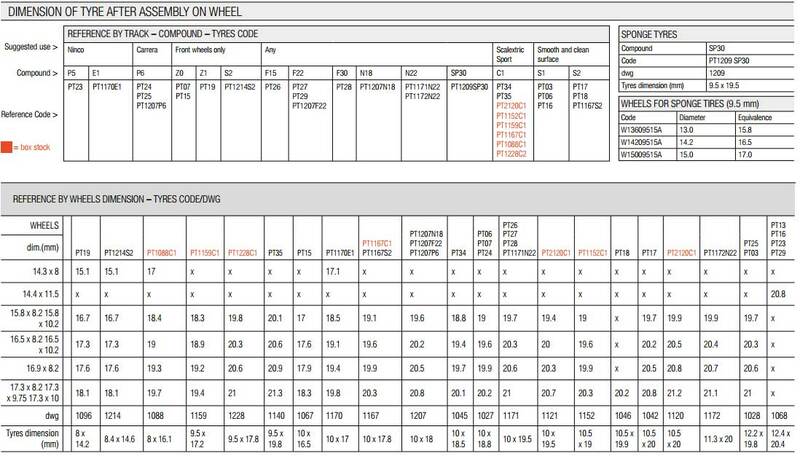 Fits well also on GT and LMP models using 17.3 diameter wheels. Use chart to cross reference.